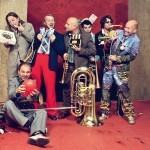 The circus is coming to town! But this is not your grandmother’s circus. 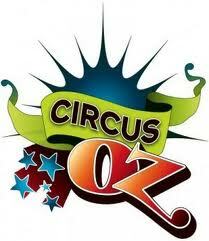 It’s a contemporary, quirky one-of-a-kind circus delivered by Circus Oz, Australia’s most-loved circus troupe. They’ll be performing at Walton Arts Center March 29th through April 3rd, and we’ve got two tickets to give to one Motherlode mama for the opening night performance on March 29th at 7 p.m. 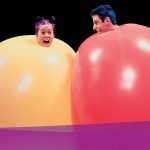 This is a show that will be great for the whole family because it includes acrobatics, aerial artists, comedy and music. 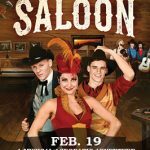 This group of performing artists has been delivering circus magic for 33 years, so it’s sure to be a great show. HOW TO ENTER: At one time or another, every busy mom feels like she’s at the center of her own family circus. When is that time for you? (Mornings before school and work? The week leading up to Christmas? The kids’ bath and bedtime routines?) Click the big orange comment button below and tell us when you feel like the circus ringmaster. You may also email your answer to giveaways@nwaMotherlode.com. For me, it’s that time after school when everyone needs help with their homework, everyone wants a snack, I have n o idea what we’re having for dinner yet and there are only 10 minutes left before we need to be heading to basketball practice or soccer or piano or gymnastics. It’s chaos in motion. Where’s a lion tamer when you need one? HOW TO INCREASE YOUR ODDS: It’s easy to increase your odds because all you need to do is help spread the word about the giveaway. Just send an email to your friends/family and tell them about this giveaway. Be sure to put giveaways@nwaMotherlode.com on the CC line of your email so we can give you an extra chance to win for each person you tell. Simple as that. TICKET INFO: To take luck out of the equation, you can purchase tickets by calling the Walton Arts Center box office at 479-443-5600 or by clicking HERE to see ticket availability online. Good luck in the giveaway. We hope to see you at the circus! 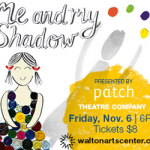 Giveaway: Me and My Shadow at Walton Arts Center! Well……there are some days where every particular moment feels like a circus. Many days feel like a three ring circus where I am expected to perform in each ring at the same timewhile also being this ring master for my husbands and sons simultaneous performances. I often wonder how it’s done with more than one child. Bedtime is a circus at our house. Emerson is in his bed at 7:30 watching a movie and still fighting sleep at 10 pm, he then needs a drink, a monster is under his bed (no way could one get under there since too much junk is stored there), he is starving to death and his tummy is going to die, he needs to pee, a ghost is in the hall,the dogs want in and out, laundry is yelling my name and dad is calling wanting to know why the 5 year old is awake at 10. Between 6:30 and 7:00 every morning. My husband has already left for work and I’ve got 3 boys to get ready. I have a 9 year old I have to get ready for school, a 3 year old I have to drag out of bed and get dressed, and a one year old I’m chasing all over the house all while trying to get myself ready to go to work! It’s a rush/madhouse/circus (whatever you want to call it!) trying to get them off to school and the sitter and myself to work on time. My life feels like a circus when I get behind on my own important tasks. When I get behind everything becomes a mess and start feeling a bit crazy. This can and does happen at any given time during any time of the year at any time of the day. I don’t like running a circus!!!!!!!!! Life is always a circus-it never slows down. But, also like a circus, it is filled with laughter, fear, joy and cotton candy. We only have teenagers at home. So the circus comes when everyone is making their plans (at the last minute, of course) and my husband and I try to fit our lives into their chaotic plans and try to get everyone where they need to be. I hear circus music in my head all the time! It’s our theme song, but it’s fun! We love the circus! Wew would love to see the circus!! the month of october is my crazy, feels like a circus time. it’s not only my busiest month at work but also my daughter’s birthday month, makes for a busy but fun time every year. Our morning routine is definitely a circus time! And it’s never the same! I feel like we are in a circus when I am trying to get everyone ready in the morning. Wake up fast, get dressed, breakfast, hair, brush teeth, make lunches and out the door!! This show looks amazing! The only time I don’t feel like the ringleader in a circus is at work, asleep (depending on dreams) and when my 2 yr. old is whisked away by one of his grandparents for the weekend! Step right up, step right up the Capps Circus is ALWAYS in town! The morning time!! Next year will be even worse when both kids are in school! Beginning of the day and end of the day!!! Getting everyone up, dressed, fed and out the door on time is always a challenge. Starts all over again at dinner when it’s bath time, teeth brushed, homework done, books read, LIGHTS OFF!!! My circus moments are trying to get out of the house in the moring, trying to get to church, and trying to get out of town for the holidays. With 3 daughters and 5 animals, our house is always a circus! In the morning! Getting myself, a 4 yr old, a 2 yr old, and a newborn out of the door by 7:30 is craziness! Definitely that time between 5 and 6 when homework is done so the kids are running wild and I’m trying to make dinner and my husbands stuck in traffic…I almost lose it every day! I feel like mornings are a circus. We can never find our shoes. Any time we need to get anywhere at a certain time. Someone always gets behind with one more thing that just has to be done, even if we are wlking out the door. I am the ringmaster of the circus at the end of the workday when I go to Walmart with my 1 and 4 year old! Wouldn’t I love to take Ivy and Lucy to this performance?Oh yes I would. Getting out the door… just about anytime! Never enough hands. Crazy times for me are after school/ work. Trying to get both kids to their after school activities. It’s hard when one child needs to be here and the other there. I often get stressed and a little crazy. My life’s a circus! Between activities and needs, I feel like I live with clowns. I fly through the air to keep everyone on task and content. At the end of the day, I wonder how my day just flew by. In the middle of the circus all of the time. I would say it all begins with school pickup after work; feed snack/dinner; off to lessons; cook dinner;homework; practice; pack for next day; clean until too late . . .
My circus ring leader moment is Grocery shopping with both kids after school. Not good planning on my part as they just want to run and have fun. Being in close proximity in the shopping cart is just too difficult for them. Every week, I am an amazing, unbelievable juggler… Juggling more things than anyone knew possible…soccer, baseball, violin, breakfast in the mornings, packing lunches, I feel like I am the star of the circus! I feel like quite the juggler lately. I am in the midst of a high-risk pregnancy that requires “taking it easy” alot and trying to keep up with my almost-four-year-old! A constant balancing act, but I wouldn’t trade it for anything in the world! The morning is the worst time for us. I feel like I’m in a circus after picking up all the kids from school & rushing them to all their after school activities. It’s non-stop until bedtime! I think I live at the circus 24/7. Between school, work, 4H, dance and church I am not stop on the go.